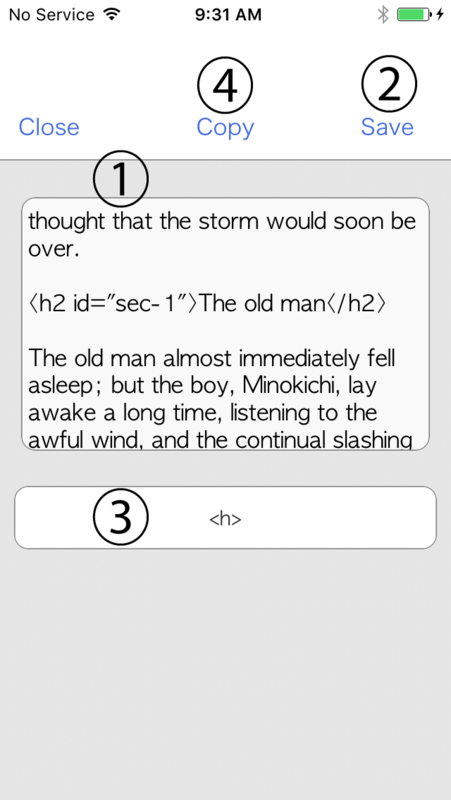 Write an eBook with this app. Great for people who want to be an eBook writer for the first time. Pro version will be on sale in Feb or March. It supports the landscape view for iPad. You can design the front cover of your book by using eBook Cover Creator or send JPG format image file from your computer to iPhone or iPad. First, press the plus button. Then write title, sub-title and the name of the writer. (You can leave out the sub-title) Write and send your book to iBooks to check how it looks on iBooks application. If there are any mistakes, you cannot open the book on iBooks. Be sure to erase the previous data of the book whenever you send the latest data of the same book. 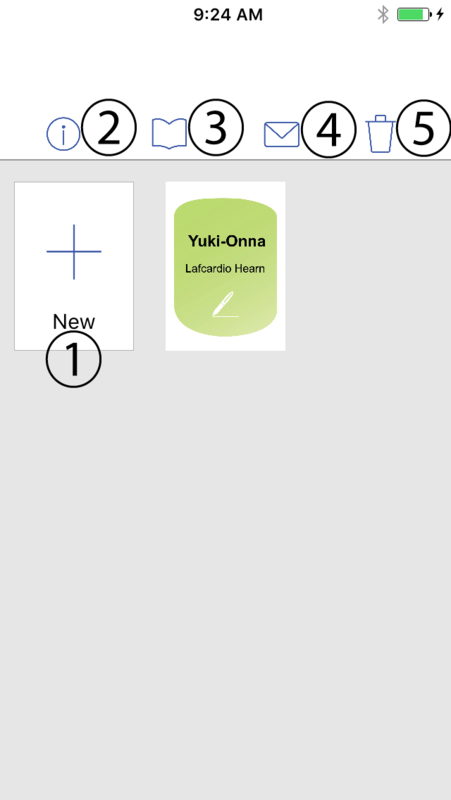 Swipe to turn pages. Press the pen sign to start writing a book. If you would like to send the front cover image to iPhone or iPad attach the image to the email. Write or edit text. This is how to write html to the text. 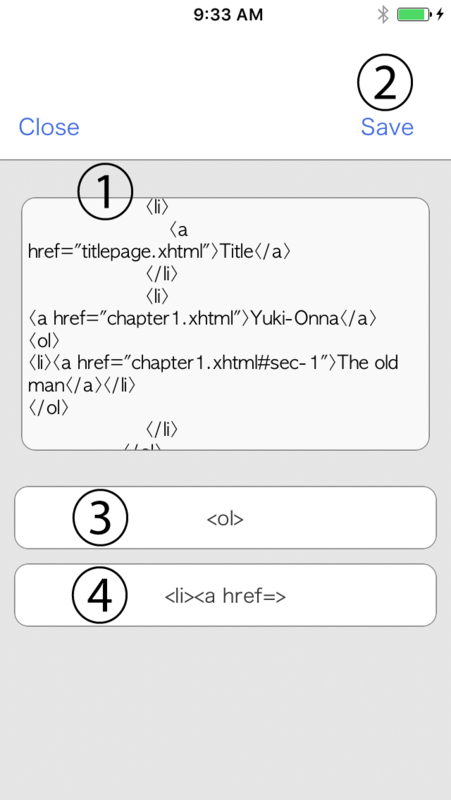 To add chapters, write HTML under ＜a href=“chapter1.xhtml”＞Your book title＜/a＞ like the example below. Copyright 2012 iBeginners All rights reserved.